Next-generation sequencing studies by Alan E. Hoban, Ph.D., Gerard Clarke, Ph.D., and colleagues at the the APC Microbiome Institute at University College Cork have uncovered a link between the gut microbiome and microRNA (miRNA) expression in the brains of rats and mice that could feasibly lead to new approaches to treating anxiety disorders by modulating the gut microbiota. In the study, Hoban and colleageus showed that compared with normal mice, germ-free (GF) mice that are born with no gut microbiota demonstrated altered expression of 103 miRNAs in the amygdala and 31 in the prefrontal cortex regions of the brain, which are areas known to be involved in anxiety and depression. A number of the miRNAs identified have previously been linked with stress and fear responses in mice and with the regulation of neuronal growth and development. 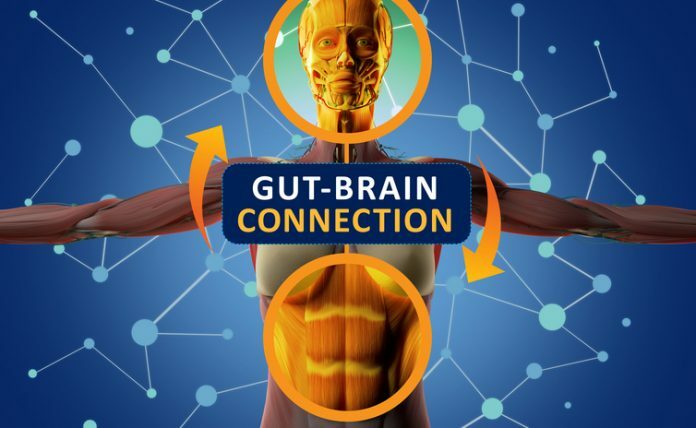 The effects of a lack of gut microbiota on brain miRNA expression weren’t just observed in mice, however. When the team used an antibiotic cocktail to knock out the gut microbiota in healthy adult rats, these animals also developed similarly altered miRNA expression in the prefrontal cortex and amygdala. This suggests that changes to the microbiome later in life can still impact on areas of the brain relevant to anxiety-like behaviors. And completely separately, today, researchers at the University of Utah published studies in PLOS Biology (“Lef1-Dependent Hypothalamic Neurogenesis Inhibits Anxiety”) demonstrating that deletion of a single gene in zebrafish and mice disrupts hypothalamic nerve development and causes the animals to exhibit increased anxiety.